Yong tofu goodies at the Grand Tofu in Flemington. A more recent review can be found here. 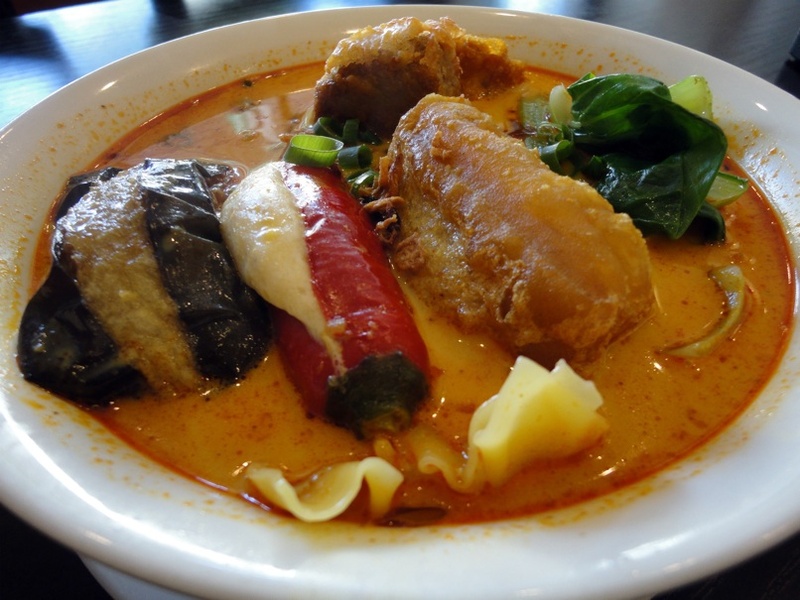 That’s what hungry hordes descending on Flemington may ponder, particularly if they find full-to-overflowing the fabled Laksa King and the already storied Chef Lagenda, both just around the corner, but still desire Malaysian food. They’re likely to find themselves entering The Grand Tofu, being well fed in a beaut joint and deciding that Plan C is the preferred option after all. I suspect that’ll certainly be the case with us. 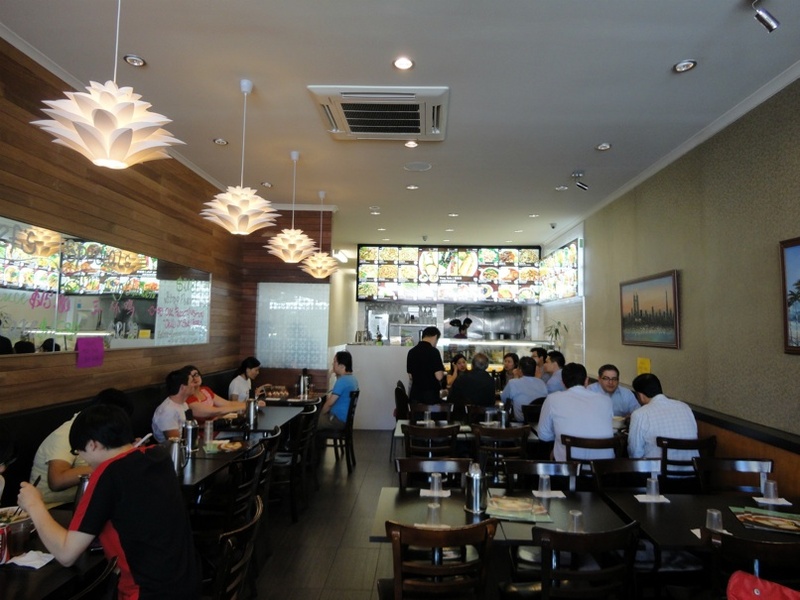 At Laksa King, in particular, they try to do the right thing by having a staff member you to your table, issuing menus, returning to take your order – the whole nine yards, which is fine really. But, honestly, sometimes all I want is a bowl of something. Now. Actually, describing The Grand Tofu as an eat-and-run place is a little unkind as the routine is pretty much the same – but there’s an ease and immediacy about it that I dig..
Sure, there’s a wall of those photos and a robust lunchtime crowd that appears to agree with my positive assessment. The place is kitted out with nice dark-stain furniture, mirrors and hand-written specials notifications on paper. 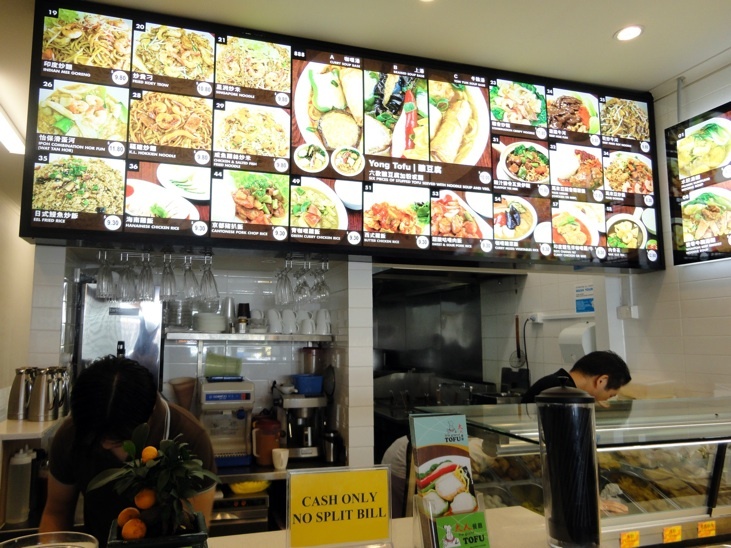 But the smiling service is every bit as obliging and efficient as that of their two famous neighbours, the prices appear to near-identical and The Grand Tofu appears to have all their bases covered … and more. For there’s a lot to try here. 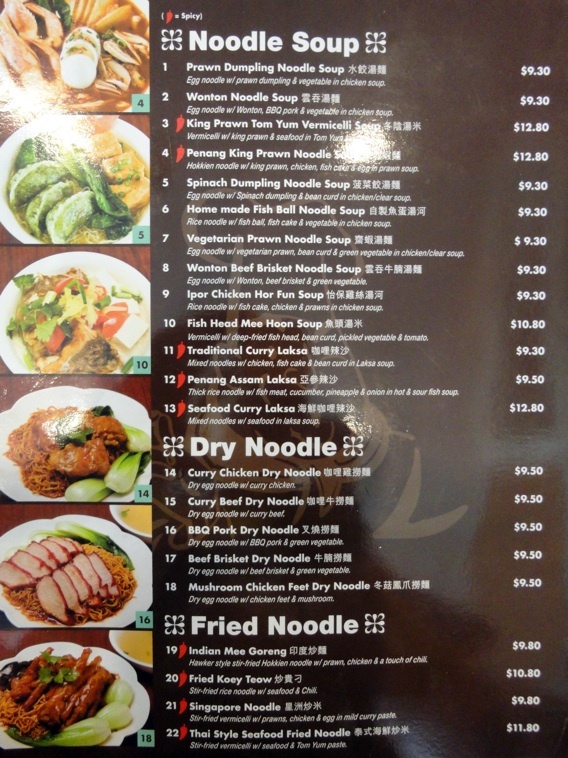 As well as all the expected noodle, rice, soup and curry offerings, there’s the likes of Penang king prawn noodle soup ($12.80) and even butter chicken ($16.80) – described as deep-fried chicken w/ chef special sauce”. Gosh – what’s that all about, I wonder? Indo-Malaysian? Yong tofu with curry sauce base at The Grad Tofu in Flemington. 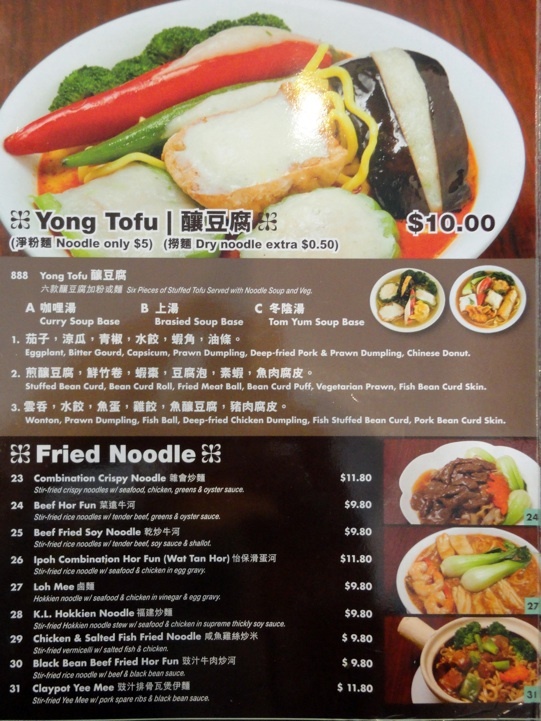 And then there’s the yong tofu lineup, which I choose to constitute my lunch in honour of the place’s name. The glistening, glowing spread is all made in-house, I am assured. You can go with one of three pre-chosen combos of six pieces each to go with your stock, curry or tom yum soup and noodles. Or you can be real daring and go custom-built. Both versions cost a fine $10. 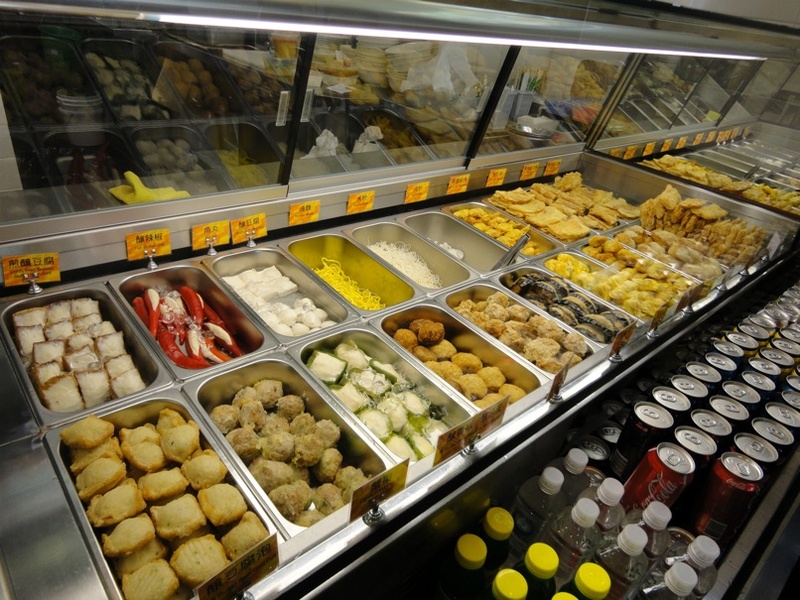 Which is what do by ordering lightly fried pork and seafood ball, seafood stuffed eggplant, chicken dumpling, prawn dumpling, stuffed chilli and chicken-stuffed doughnut with curry soup and rice noodles. As you can see, I erred on the side of naughtiness in ordering, but I doubt the vegetable options here are any more healthy than the meat or seafood alternatives. In any case, they’re all good. The dumplings all have a nice sogginess going on by the time I get to them. I leave the eggplant until last, only to find it’s cooked wonderfully in the soup and is slippery slithery delicious. The curry soup is no great shakes, but I’m heartened by finding a curry leaf, which I hope denotes it’s a house-made brew. Besides, I get a nice kick from the stuffed chilli, which is both spicy and juicy. The rice noodles are a nice alternative to the egg noodles I usually have with this sort of fare. This a big meal – I don’t finish the noodles or soup. I’m dead keen to return here with Bennie in tow – I like their style. I have been wanting to go here for ages – glad it makes the grade! Let me know if you head back and maybe we can do a weekend lunch soon. Hi Lauren! 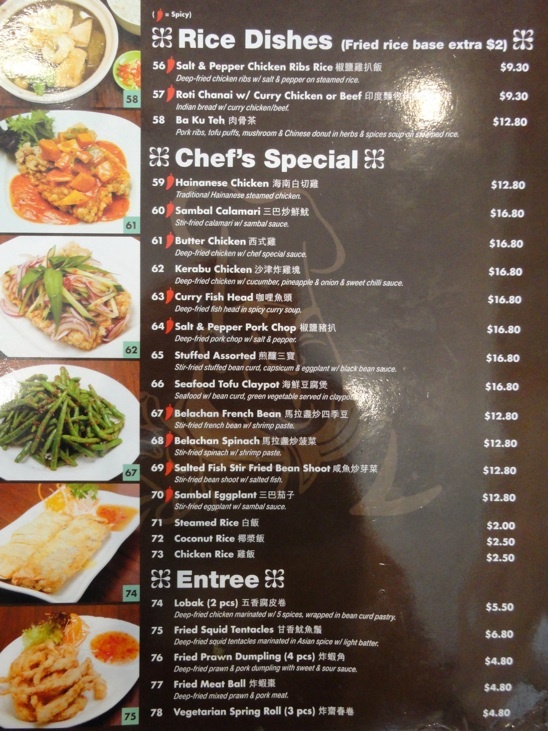 It was fine – if more of a cheap and cheerful than a restaurant. I think that’s more my go, anyhow! 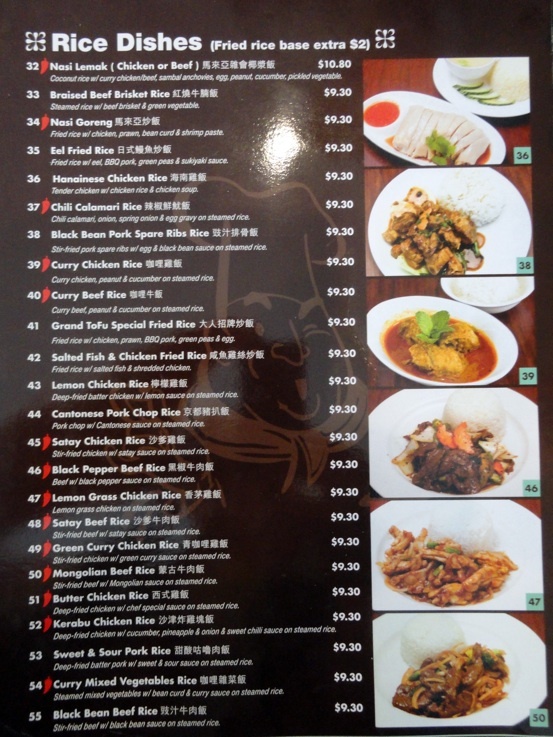 Seems like a big improvement on the dodgy Cantonese joint that used to be in the same location. The tofu-stuffed stuff looks very interesting. 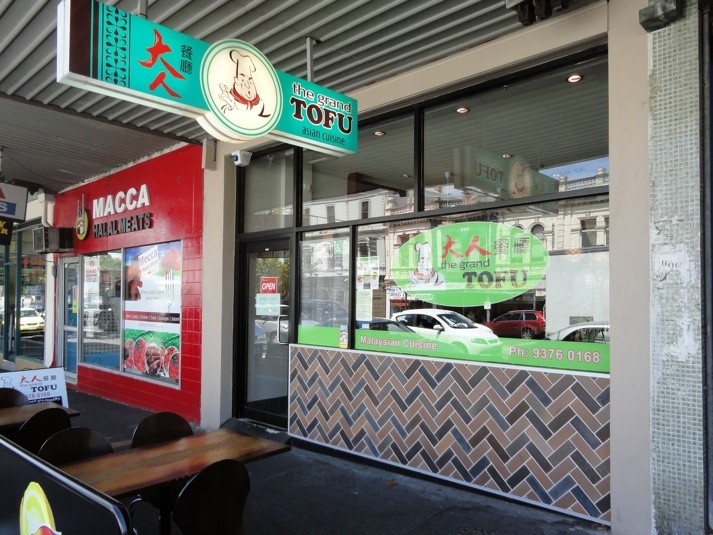 I love the name of the butchers next door… I’ve always thought it deserves an apostrophe and “s” after it, for a true cross-cultural moniker, Macca’s Halal Meats. This is one of my locals. They are always welcoming and accommodating. Plus they have salt and fried pepper tofu to shut me up (not as good as it can get but a decent enough version). 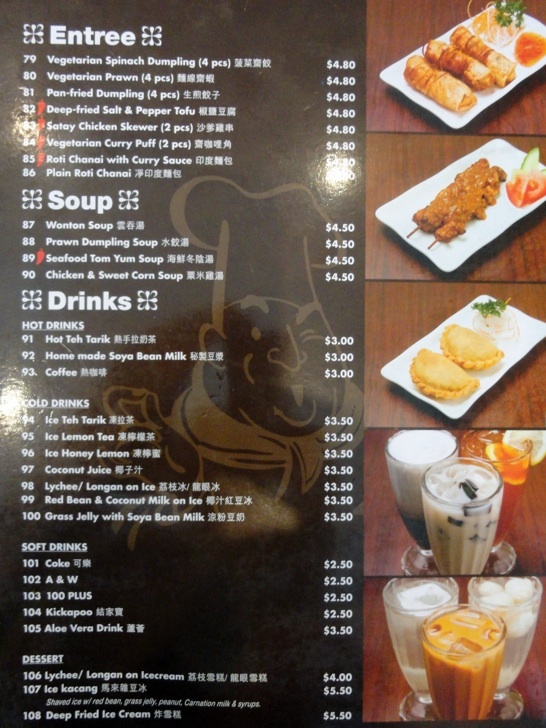 $10 yong tofu – who’s gunna complain!